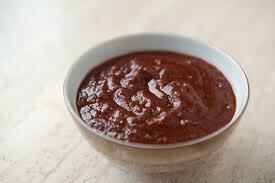 There are many different schools of thought regarding when and how to best apply BBQ sauce to your meat when cooking. There are really a few key principles, however, that apply in most scenarios, and the rest of it really comes down to a matter of taste. Here are some of the key factors to keep in mind when applying bbq sauce to chicken. Barbecue is an art form rooted in local variations. It is best experienced by sampling distinct tastes among regional inventions. Kansas City-style barbecue is a variation on the art form every barbecue lover should know, not only because it spawned a revered barbecue scene made up of over 100 restaurants and several large barbecue festivals in Kansas City, but also it should be experienced simply for its remarkable taste. What makes Kansas City-style barbecue such a revered taste? 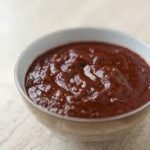 Known for its open ended variety, the common thread underlying all Kansas City-style barbecue spins out of the unique cooking process as well as the signature Kansas City method to prepare sauce. Whether you are a grilling pro or if you are just learning how to grill out, you probably already know that seasoning your meat is an essential step to creating delicious meals on the grill. Although you can always sprinkle a few of your favorite seasonings while hoping for the best, it is always a good idea to have a good barbecue rub recipe. There are tons of rub recipes out there, and you can even buy different types of rubs from the grocery store. Although many of these recipes are designed for specific cuts of meat, it is even better to create a wonderful all-purpose rub. Once you find the perfect rub for different types of meat, you will have a go-to recipe that you can depend on for a delicious and flavorful meal even when you aren’t feeling very inspired.